'Atlas' is just the word to describe this essential text on depression. Solomon writes both from personal experience and as a deeply patient, insightful observer. There is nothing coldly clinical about this book, nor does it at any point stray into the realm of sentimental platitudes. If you genuinely want to learn about depression, you can do no better than this. 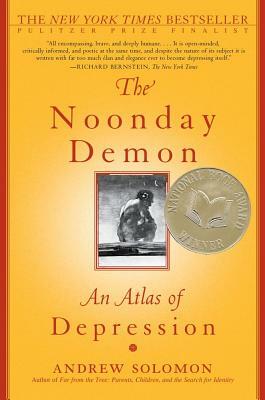 Winner of the National Book Award and a Pulitzer Prize finalist, The Noonday Demon examines depression in personal, cultural, and scientific terms. Drawing on his own struggles with the illness and interviews with fellow sufferers, doctors and scientists, policy makers and politicians, drug designers and philosophers, Andrew Solomon reveals the subtle complexities and sheer agony of the disease. He confronts the challenge of defining the illness and describes the vast range of available medications, the efficacy of alternative treatments, and the impact the malady has on various demographic populations -- around the world and throughout history. He also explores the thorny patch of moral and ethical questions posed by emerging biological explanations for mental illness. With uncommon humanity, candor, wit, and erudition, award-winning author Solomon takes readers on a journey of incom-parable range and resonance into the most pervasive of family secrets. His contribution to our understanding not only of mental illness but also of the human condition is truly stunning. Richard Bernstein The New York Times All encompassing, brave, and deeply humane...It is open-minded, critically informed, and poetic at the same time, and despite the nature of its subject it is written with far too much élan and elegance ever to become depressing itself. Gail Caldwell The Boston Globe Both heartrending and fascinating...the book has a scope and passionate intelligence that give it intrigue as well as heft. Christine Whitehouse Time The book for a generation...Solomon interweaves a personal narrative with scientific, philosophical, historical, political, and cultural insights...The result is an elegantly written, meticulously researched book that is empathetic and enlightening, scholarly and useful...Solomon apologizes that "no book can span the reach of human suffering." This one comes close.